(Wisconsin State Journal) Just a few weeks after his election last spring, Pope Francis stunned papal observers by washing the feet of two women during a Holy Week ritual. The rite — on Maundy Thursday, just prior to Easter Sunday — re-enacts Jesus’ washing of the feet of his 12 male disciples at his Last Supper. Traditionally, popes washed the feet only of men. Three years ago, Madison Catholic Bishop Robert Morlino issued guidelines that gave priests the option of either using only men or not celebrating the ritual at all. Given the heightened attention to foot-washing last year, some parishioners thought Morlino might re-evaluate his position. That has not happened. Brent King, the diocesan spokesman, said priests have the same two options this year — men-only or no ritual. Holy Thursday Mass falls on April 17. Easter is April 20. 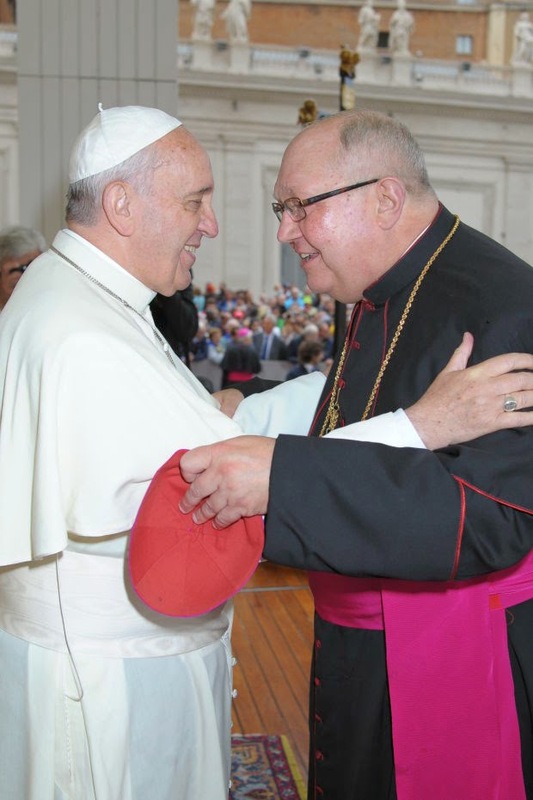 As has become his tradition, Morlino will celebrate Holy Thursday Mass at St. Patrick’s Catholic Church in Downtown Madison, King said, where he will wash the feet of 12 seminarians. Last year, at least two priests — at Our Lady Queen of Peace in Madison and Nativity of Mary in Janesville — took a pass on the ritual due to the male-only rule.